I have been trying to find a 100-years old Levin parlour for some time now, something built before 1920 and with a pin bridge. If anyone has one that they would like to sell then please get in touch, claesgellerbrink@gmail.com. 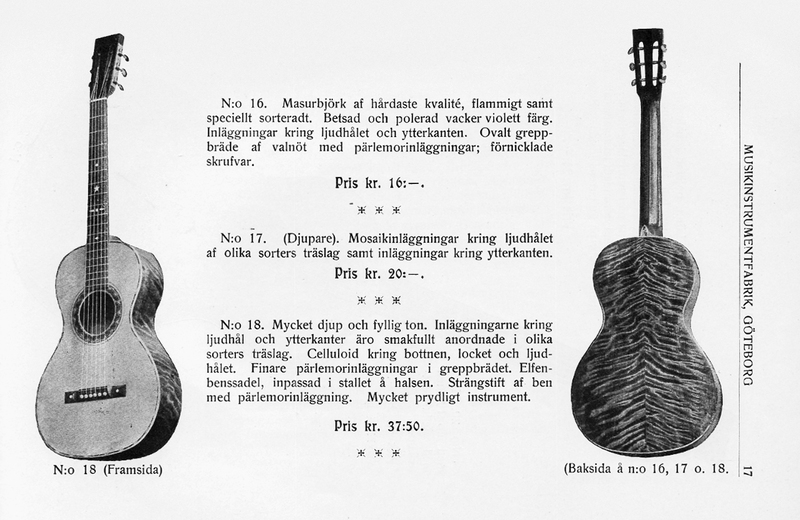 I would also be interested in any guitar that came out of the greater Chicago area built by Swedish builders, like an Ideal by August Carlstedt or a Maurer or a Prairie State built by the Larson Brothers, if I could afford it. It doesn’t really matter if the guitar is playable or not.